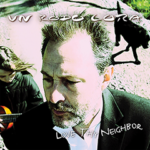 New Un Rodo Cora album “Love Thy Neighbor”! The melodic indie world of Un Rodo Cora resembles our own. But with fewer restrictions and more surprises. Their fourth full-length album is a departure from previous trips. Where the earlier albums were inspired by geographical locations, with titles like “New York-Barentsburg” and “Beijing-Bangalore”, the focus is here rather on a trip with religious and political overtones. “Love Thy Neighbor” is 34 minutes of international indie-pop at its best. Delicate yet grandiose. Intimate yet epic. As always with Un Rodo Cora the line-up is as predefined as the length of a wooden leg. Band members change places and new names appears in the circle. On the trip this time, in addition to the band’s 5-10-strong core group, we find people like Chino Mariano (Roxette, ABBA), Niklas Janzon (Mount Liberation Unlimited), Mats Wigerdal (Ubangi, Kitchen & the Plastic Spoons) Patric Westöö (Latvian Radio), Janne Perning (Ace of Base, Secret Service) and the Swedish-Indian writer Zac O’Yeah. The album was recorded in Stockholm and Bengaluru, and mastered in Los Angeles by Reuben Cohen (Pharrell Williams, Metallica). The Un Rodo Cora core group consists of: Bo Christo Schager, Jochum Forsell, Danielle Dahlström, Niklas Janzon, Johan Werner and Patrik Lindqvist. 30 November, 2016 in ARTISTS.